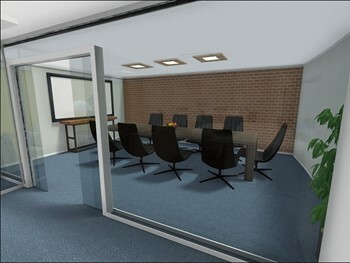 Do you want to add a see-through / glass wall to a project? There are two ways to do this, depending on what you want to achieve. 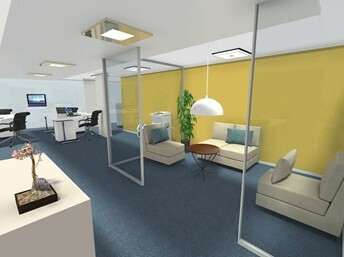 Click to select the glass divider and click to place it (or drag it onto your floor plan). Click to select it and then use its Properties on the right to change its size. Click the wall you wish to add glass to. Its Properties appear on the right. Click Material Side A. The Select Material page appears. Search for Glass. Find the solid glass piece, which has a light green color. Click the glass and then click Apply. Repeat steps 4-5 for Material Side B. To add a glass door, switch to Windows etc mode and search for Glass Door. Click to select one and click to place it, or drag your favorite onto the floor plan.